FRANKFURT -- Volkswagen Group's Audi brand announced its biggest management reshuffle in years as it seeks a fresh start in the aftermath of its diesel-emissions cheating scandal. In a statement on Monday, Audi said it was replacing finance chief Axel Strotbek, production boss Hubert Waltl, human resources head Thomas Sigi and sales chief Dietmar Voggenreiter. CEO Rupert Stadler, who has come under fire from the media and unions for his handling of the emissions scandal, remains in office, as expected. Alexander Seitz, 55, will succeed to Strotbek. He moves to the post from SAIC Volkswagen, where he is first vice president. Bram Schot, 56, is Voggenreiter's successor. Schot has been head of sales and marketing for Volkswagen commercial vehicles since 2012. Wendelin Goebel, 53, will head human resources, replacing Sigi. Goebel currently leads VW Group's management board office. He is a close ally of VW Group CEO Matthias Mueller and Stadler. Peter Koessler, 58, will be in charge of production and logistics, moving from his role as head of Audi's plant in Hungary. Koessler will succeed Waltl. Audi gave no reason for the shake-up. People familiar with the matter had flagged the management reshuffle to Reuters. One said that Stadler had the backing of the Porsche and Piech families who control VW Group, which is why his contract was extended by another five years in May. 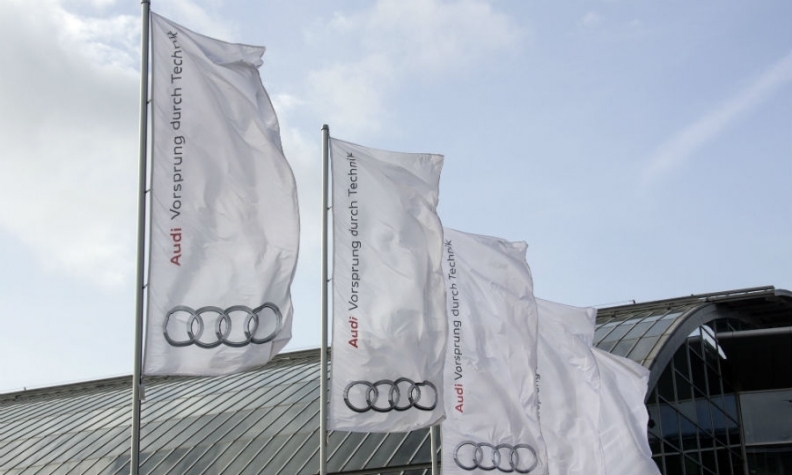 Audi is grappling with car recalls, prosecutor investigations and criticism from unions and managers over the diesel-emissions scandal and its performance since news of the affair broke in 2015. Parent VW Group has agreed to spend up to $25 billion in the United States to address claims from owners, environmental regulators, states and dealers and has offered to buy back about 500,000 polluting U.S. vehicles.